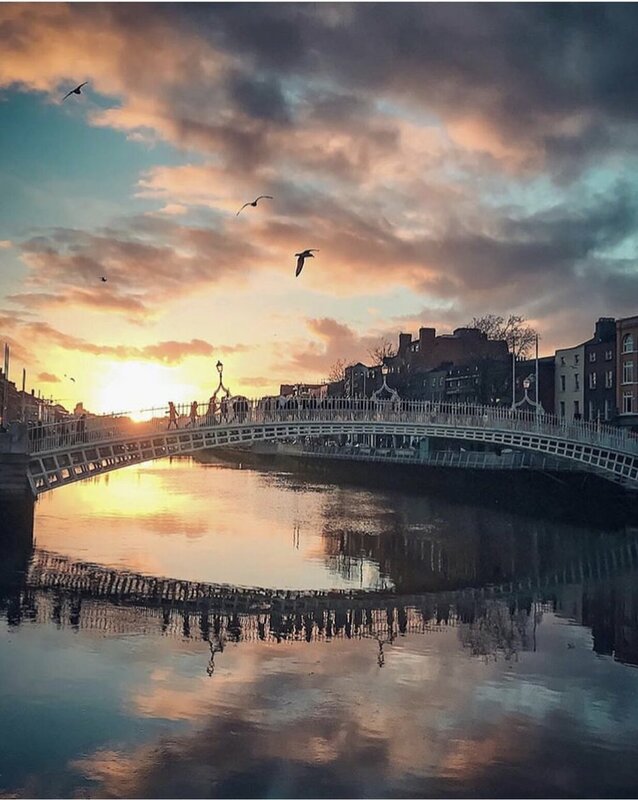 The city is full of beautiful hotels, trendy bars, a great food scene, live music, traditional Irish pubs and stylish shopping areas to discover and of course that infamous warm Irish hospitality to welcome you! . There are lots of lovely little local cafes and bars and some amazing cocktail venues to enjoy as well as a huge selection of attractions, tours and activities on offer. It is also a very accessible city with regular bus, tram, dart and rail services throughout the city and its surrounding areas, taxis readily available and there are daily regular flights to and from Dublin with over 60 airlines flying from over 179 destinations. Dublin airport operates services to over 30 UK airports and over 100 European airports with an ongoing ever-expanding network making it easier and more affordable than ever to get to and from Dublin .. so, what are you waiting for! Right in the heart of the city and central to the Temple bar area, the Morgan is walking distance to all major areas of the city surrounded by lots of live music, bars, pubs and restaurants as well as some great cafes and shops. The Morgan is a beautiful, modern and stylish boutique hotel perfect for a girly getaway and a special occasion. Stunning décor, beautiful rooms, amazing cocktails, unique afternoon tea options and an Instagrammers dream! This hotel is one of our top picks in the city! See SVS review here. Located on the doorstep of the renowned shopping area Grafton street , The Westbury is a beautiful chic luxury hotel option for your perfect hen weekend. They have stunning plush bedrooms and suites, a 1930’s inspired cocktail bar and well-known dining spots such as Balfe’s and Wilde also home to the hotel as well as their beautiful afternoon tea on the gallery. This hotel is a favourite luxury pick of ours! See SVS review here. The Clarence is a lovely 4-star boutique hotel with a real warm Irish feel in the heart of the city overlooking the River Liffey and the iconic Ha’penny bridge in the famous cobbled Temple bar district. Once owned by U2’s Bono and the Edge, this is a great hotel that has Dublin’s rich music and rock and roll roots as part of its heritage. The hotel is also home to Cleaver East restaurant, The Octagon bar and The Liquor rooms. See SVS review here. This is our retreat outside of the City pick , located in County Meath Dunboyne castle is a beautiful hotel set in lovely grounds of 21 acres of the Irish countryside with a renowned spa, a 2 AA rosette restaurant as well as a lively bar area with live music and a great selection of spacious bedrooms and suites perfect for a group getaway! They also have a large unique private room for hire that is a great backdrop for a hen party night with a nightclub vibe as well as their own private Irish pub for hire too! See SVS review here. The Dean is a funky, urban boutique hotel on Harcourt street with a mix of trendy, stylish bedrooms , sociable public areas and is home to Sophie’s roof top restaurant with stunning panoramic views of the city and amazing food! The hotel is in the heart of one of Dublin’s most popular nightlife areas surrounded by well-known clubs and bars like Copperface Jacks, Dicey’s and Everleigh garden and is nearby to areas like Grafton street, Stephens Green and Dawson street. This hotel is our Party lovers pick! Dry and Fly are a blow dry lover’s dream and the perfect pick for your hen group! Open plan spaces with beautiful décor and a team of experienced stylists to pamper you and while you sip on your complimentary gin and tonic or Prosecco – what more could you ask for! You can book a group hair styling or blow dry session in either of their Wicklow street or Merrion street branches and they also offer lash and brow services as well as make up services too. See SVS review here. Preen hair and beauty is located on Dame street and offers a range of hair and make up services in a chic, relaxing and classy setting. Enjoy a stunning blow dry, have your make up done or indulge in one of their bespoke packages for a full make over experience. It’s the perfect option for preparing for your big night out with your hens! The Spa at the Shelbourne is a beautiful spot for a day of pampering and relaxation in a stunning 5-star hotel in heart of the city, offering luxury spa treatments, bespoke hair and beauty services and health club facilities as well as a range of spa day packages perfect for groups. 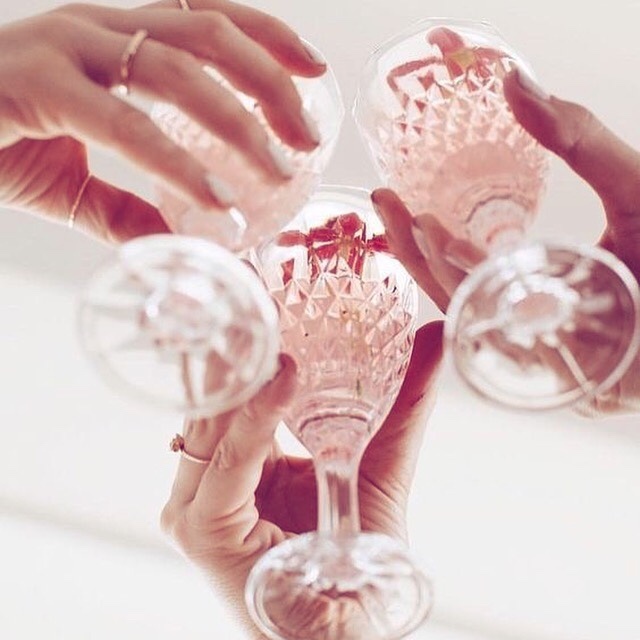 The Shelbourne is renowned for its classy cocktails too – the perfect end to your day of pampering! Brown Thomas’s standalone beauty lounge located on Clarendon street just behind Brown Thomas, has everything from a Nails inc nail bar, an Aveda blow dry bar to make up stations and brow and lash bars , its a one stop shop for an afternoon of pampering or a quick beauty pit stop after a bit of retail therapy! Dublin has some great shopping areas to indulge in some retail therapy , one its most renowned is Grafton Street which is home to luxury department store Brown Thomas, a host of high street and designer shops , the infamousBewley’s café and is nearby to other areas such us Stephens Green shopping centre, Dawson street, Powerscourt centre and Dublin’s creative quarter including places like Irish brand Avoca. When it comes to places to visit and group activities to take part in, you really are spoilt for choice! SVS’s top 5 things to do in Dublin here. No trip to Dublin is complete without a visit to the Guinness Storehouse where you can explore the Guinness story and experience the renowned Gravity bar at the top of the building enjoying your pint of the black stuff with views over the entire city. See the SVS review here. Dublin is also home to renowned Whiskey distilleries like Jameson and Teeling, they offer great interactive tours and Whiskey tastings which are perfect for groups and are great Craic too! See SVS review here. Check out our website – www.svs-eventconcierge.com for more information and Contact us at sarahwenman@soverysarah.com to find out more or if you have an enquiry we can help you with, we’d love to hear from you! Thanks Sarah for all your amazing tips and insight into Dublin as the perfect Hen Do destination. I’m sure our brides are feeling inspired to book their trips asap! Have you been to Dublin before? If so tell us about your favourite hot spots in the comments below!